Networking takes time, energy and even a little money. You don’t actually want to network with everybody. Billions and billions of people in the world! You don’t have the time! You don’t actually want a job at just any company. You want one at a company that will be interesting and use your skills and expertise appropriately. So you must make some decisions: what companies interest you? Why? What is the criteria for an interesting company? Which ones meet those criteria? Who do you know who works at each one of those interesting companies? I bet your mother-in-law’s cousin does not. But your former college roommate might. Tools to use in your networking include LinkedIn, Google+, LabRoots, even FaceBook and Twitter. Are you using them? How can you keep your network shiny? What do you have in common? Can you introduce them to someone else in your network? Provide an interesting link? Share a babysitter? This means reconnect at least once a year. Some people once a quarter, others only when they have a birthday or new job. Your best friend, daily? A physical card, a phone call, an email, LinkedIn…..
What is your plan for using it to maintain contact with your network? How much time will it take each week? Not everyone will be online – Gramma is probably more likely to want you to call and other people are too busy to post often. Where will you look and how much time will it take to keep your network shiny? I like Accompany because it scrapes the web, RSS feeds, Facebook and Twitter for postings and mentions of the people and companies you add to it and it provides a dashboard to see it all. Google Alerts www.google.com/alerts scrapes the web and will let you set alerts for topics or companies or people. How big is your career network? Who, in your industry, knows you? 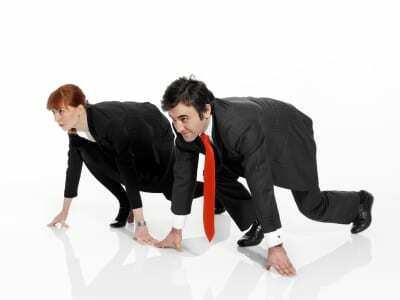 Job Interview Prep: Are You Keeping Up in the Interview “Arms Race”? Can you keep up in the Interview “Arms Race”? Do you think that a job seeker has to be MORE prepared than before? I’ve been thinking about how different the job market is today from even a few years ago. Between the current economic times and our ridiculously high unemployment rates, I think that candidates have to be more prepared than ever before—do more research, be more assertive, demonstrate their motivation, and go the extra mile in their follow up. This is what I’m seeing as a recruiter, but I wanted to know if that’s what hiring managers think, too. I got a very interesting response. The overwhelming feeling is that yes, job seekers do need to step up their game because it’s an employer’s market now and they are able to pick and choose who they want—and yet they’re very surprised by how many job seekers haven’t gotten the message. Well, here it is: the bar has been raised. One even called the current job market an “arms race.” If you want to win, you’ve got to constantly be finding ways to be better than the next guy. will you win the job competition? Today’s hiring managers are looking for knowledge, hunger, and creativity in their top candidates. They are expecting you to bring your “A” game every time. And if you don’t, they can just wait for the next candidate because it won’t be long. Start your interview prep well before you have an interview scheduled. Two days is not enough time to prepare for an interview. Get your interview skills down pat and then start looking into companies. Research everything. The internet has made researching a company very easy, and if you don’t do it, you just look lazy. Use Google, LinkedIn, Facebook, blogs, news articles, everything you can find about the company—mission, goals, obstacles, enemies, and opportunities. Be able to tell the hiring manager what’s in it for him. Why should he hire you? What are you bringing that the other candidates can’t? Develop your brand. That idea throws some people, but it just means to have a consistent message about what you’re an expert at and how you bring value to an employer. If someone else was going to describe you, what would they say? If interviews are going to be more competitive, you need to generate more interviews. Give yourself the best chance possible. Contacting hiring managers directly is the very best way to do that. And I don’t mean 10 of them, I mean 100 of them. If you want a job, you need to approach it like it’s your mission in life (and right now, it is). Go all out.